Best Reloading Presses Reviewed for 2019 - Buyer & User Guide! Shooting can get expensive. Ammunition is an ongoing cost that adds up. Reloading ammunition, if done properly can result in significant benefits from a financial perspective. Cutting your ongoing costs by even a little can add up a lot over time. To make it all work and realize the type of savings you can take to the bank, you need to make good economic decisions and buy good products. That’s the reason we wrote this article about the best reloading press options, because you need to know which ones are actually a good investment in the long term viability of your shooting and reloading plans. The top choices in the reloading press market will be those who can handle multiple calibers with precision tolerances and do it in a way that is advantageous to the effort and time you will put into their operation. The equation has to make sense for the shooter – they have to benefit financially or be able to produce ammunition that they cannot get elsewhere, or both. In this article you’ll learn about the best presses and kits for those who are looking at a first foray into reloading. 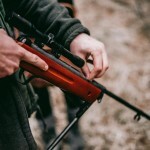 Is it safe to reload ammunition? Commercially available reloads have been on the market for decades. Hand loaders have been pushing the limits of ammunition, since the days of the old west. Routinely, it’s through reloading and boundary exploration that the best innovations in commercial cartridges are made. We aren’t saying you should throw caution to the wind and start recklessly exploring with crazy powder charges and ridiculous brass reformations, but reloading is safe if you follow agreed upon load calculations. With a reloading book you can rest assured, with proper visual inspection, that you are likely to in safe shooting territory. You can find a great reloading handbook here: The Lyman 50th Edition Reloading handbook. Some of the reloading press kits here are inclusive of a high-quality reloading handbook. Each press will be slightly different, but for the most part there are three kinds of reloading presses you will encounter. Single stage; turret presses and Progressive presses. Each serves a distinctly different purpose and you’ll see the nuanced (or pronounced) differences in a second here. Single stage presses are great for introductions to reloading, but they will soon get annoying for most people, unless you are handloading very expensive, exceptionally precise ammunition that requires absolute attention to the specific components. The main reason is that the bulk of your time after you learn how to operate the press (which is exceptionally straightforward and easy), will be spent changing dies, rather than actually loading rounds of ammunition. A single stage press performs a single step in the reloading process at each “pull of the handle”. That is: 1 primer set (though many of the single stage presses don’t even use the press to set primers – they use handheld tools to do that); or 1 bullet inserted into the throat of the cartridge or, etc., etc. The most effective use of single stage presses is to do a bulk run of ammunition for the particular component – for instance decapping/resizing to get the cartridge ready. One would then place the decapped/resized cartridge casing into a holder tray until all cartridges were finished with that operation. You would repeat this process throughout the prep and into the component reloading too. Unfortunately, you lose a lot of time in placing and taking cartridges out of a holding tray/tub instead of just using the technology to benefit time savings. Again. For precision reloading this may be a first rate choice depending on what you want to accomplish. 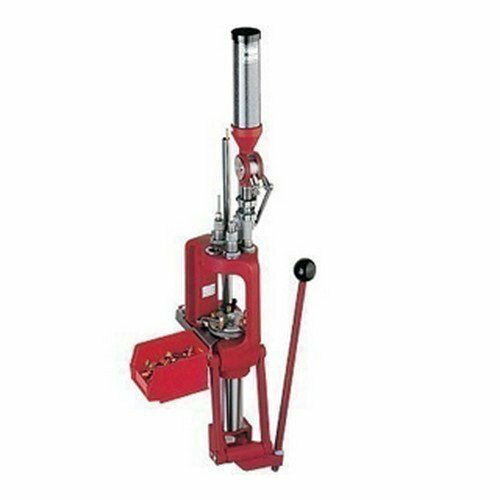 The major benefit of using a single stage reloading press is that you learn the process very well, and you are intimately involved with the process from an oversight perspective. Single stage reloading presses are typically the least expensive option and offer great sturdiness. Turret presses are an evolution of speed over the single stage press, though it still only treats a single round of ammunition at a time. The benefits of turret presses is less changing of equipment and less time to handle the cartridge in general because of the reduced changeover time. The turret head rotates to provide a single cartridge with each of the treatment steps with separate dies in separate placements on a single rotating head. The round generally stays in a single spot while the head rotates with each hand pull to perform a different step. Then, you are only handling the cartridge a single time in your hands. Turret presses can triple your output compared to single stage presses – they are an excellent way to get bulk reloading done with less attention to detail, but they are still not the premium solution for bulk reloading speed. It’s almost a foregone conclusion that you will exponentially increase your reloading speed, with little effect on your accuracy in reloading, with a progressive press versus a single stage press. The progressive reloading press performs multiple operations at once with a single pull of the handle. The progressive reloading press will offer two platens that hold two separate types of items – one for the dies and one for the cartridges. The one platen (brass cartridges) turns while the other (dies) remains stationary. The same amount of spaces exist on both platens which means that with each hand pull/rotation, you are effectively performing one operation on one of a number of cartridges. 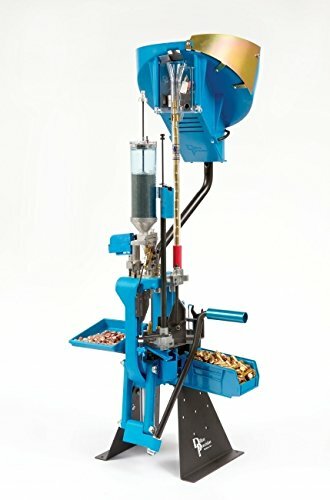 So, if you have a six position progressive reloading press, one round per pull will be finished after your initial 6 pulls. Each subsequent pull will finish another round. As you can see, it increases your efficiency per hand pull. Progressive presses are now even adding automation that can really ratchet up your production. For many, the progressive is something they progressively graduate to, for a couple of reasons. With all of this information, we invite you to take a look at our choices for the best reloading presses for beginner reloaders. The Hornady 095100 is a high-quality press that offers progressive capabilities with a trusted name brand behind cartridge production in Hornady. It has a 5-station bushing system that allows fairly quick changeover from one set of dies to another for caliber changes. The powder hopper is big and the perks and delivery of reloading operations is pretty smooth per hand pull. Simple things like the powder that is only actuated when a cartridge underneath it seem obvious but allow you to be a little less hawkish with the oversight. Irritatingly, some presses don’t offer this feature. WHY IT IS RECOMMENDED: Top quality materials and build. This is a great name to be associated with for reloading. The name, Hornady, is legendary, and the durability is second to none. For the price it represents great value for this list, all things considered. 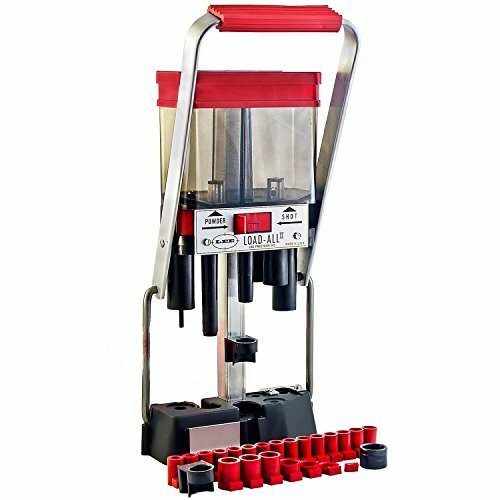 The Lee precision 2 is a great reloading press for 12 gauge shotshells. The simple build and the sturdy build quality and good materials makes this a machine that can last many years for a small investment. The cost savings can add up quickly if you shoot a lot and save your shotshells. You can reduce your cost of consumables to less than one half of its original cost with this reloader, loading boxes of ammunition for a third to one half of the costs of new ammunition generally. This press has famous name recognition for shotshell work. WHY IT IS RECOMMENDED: It’s dead simple, and shotgun shells can be reloaded very economically if you provide the labor for the unit and can buy in bulk for components. The process is simple and straightforward. The Lee precision 2 is very reasonably priced. Casefeeder with small rifle plate. For very serious reloaders, this is a great setup for those who want the fastest reloading experience, whether it’s to save time and have convenience, or whether it is to do more ammo with your time, the Dillon XL650 is a great setup. The dies, powder check & sensor; case feeder and adjustment tools are all included. This is a prosumer model if ever there was one. 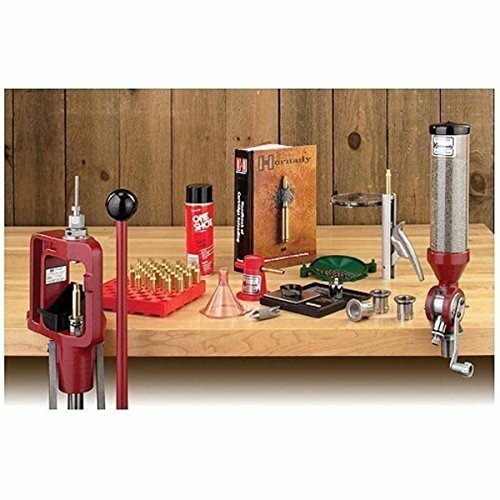 It combines all the necessary equipment and upgrades for the actual reloading part of the process. You’ll still need some prep tools like a tumbler and calipers, etc. 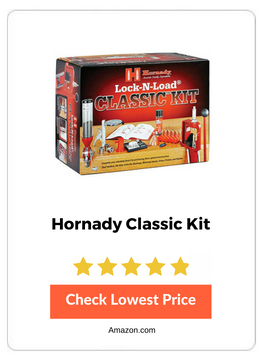 For the money though, if you are on the high side of the reloading spectrum, this is an obvious choice for an upgrade to a top quality consumer reloading machine out of the factory/box. WHY IT IS RECOMMENDED: Dillon quality is top notch. The speed improvements alone will help to pay for the price if you shoot a lot of ammunition. It’s an all-in solution for the .223 Remington round out of the box. Buy components and get to work. The Hornady 85003 is a great first setup for the precision reloader that is more focused on creating handloads that perform, instead of bulk reloading to save some cash. The slower single stage press will offer great accuracy and precision capabilities but is lacking on the bulk production reloading side of things. WHY IT IS RECOMMENDED: For those who plan on doing high precision rifle cartridge reloading this price point is hard to beat. While it is a bit slower than other options, this is a legitimate precision reloader than can keep up with the best as far as capabilities for precision and accuracy of loads. Very smooth and well built generally, but not without problems. 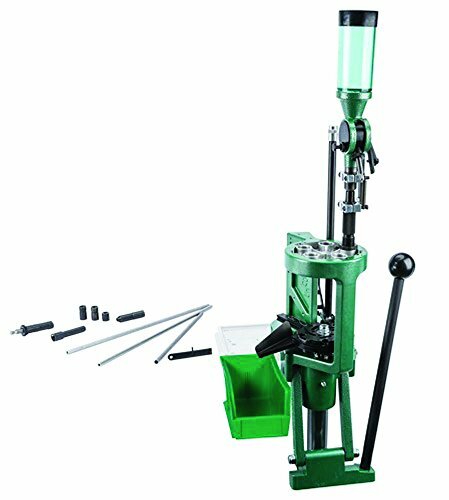 The Pro Chucker 5 is a good mid-range reloading press for those who want a progressive and are already invested in RCBS equipment. The extras will cost you, but the machine is generally quite well built. WHY IT IS RECOMMENDED: Those who want fast speeds for bulk reloading and can commit to a couple of calibers will like the Pro Chucker 5 for the money. It’s got some small hiccups which makes it a mid-range progressive, but the price reflects this, and the handle pull action and the system integration is spectacular. Quality materials, a great powder dropper and very smooth action, the RC Supreme Master Kit is a premium build for a single stage press. It lacks some options that bigger more expensive presses come standard with, but out of the box, this is an excellent machine to get started with. It includes most of what you will need and will retain its value because of the history of the company and the build quality. 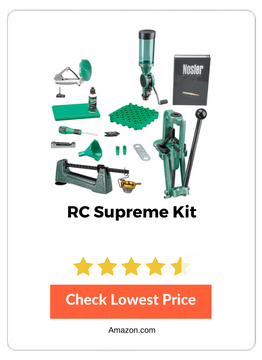 WHY IT IS RECOMMENDED: RC Supreme Master Kit is just one of the better built presses available at the price point. For a beginner it is a very solid choice. 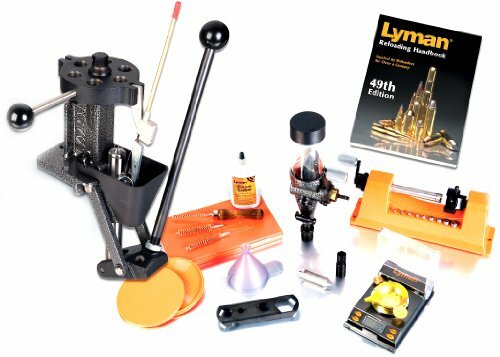 The Lyman T-Mag is a great combination setup because it has all the stuff you need to get started immediately, except the components for the reloading. 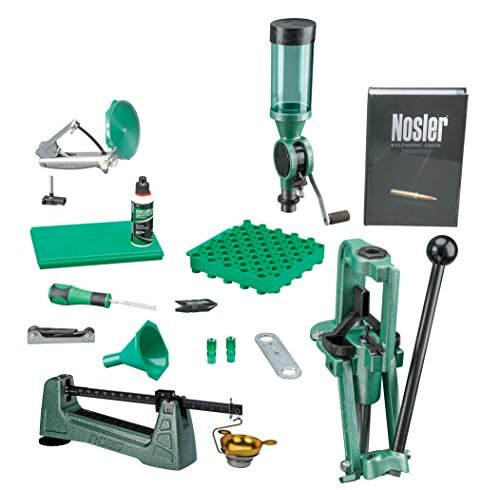 All the main tools and information; the easy to setup build and the extra hand tools are all included. Fast setup for beginners and leaves you needing nothing else out of the factory except dies/plate. WHY IT IS RECOMMENDED: It’s not perfect but it has all the things you need to reload except the components. For a plug and play option for a newcomer the Lyman T-Mag is a very good option. Few packages are as easy to get to a first reloaded cartridge as this one is. Next, we will look at the step by step parts of reloading ammunition. Each of these steps should be followed up by a visual check confirming that the process was completed properly and that the cartridge has not changed in suitability for finishing the reloading process or moving into a shooting condition. Furthermore, many of the preparatory stages of reloading are done by hand, leading up to the actual component reloading. That isn’t a 100% accurate statement all the time, but in general, it’s a two-separate-step-process. First, you prep cases; second, you reload them on a press. Some presses offer some of the prep stations into the press operation, but generally this is the case: hand work for prep followed by press work for reloading component parts. Reloading undoubtedly saves you some money over time. It will also allow you to create some innovative or highly accurate specialty rounds. For those who have never reloaded before, these presses all have their redeeming qualities. 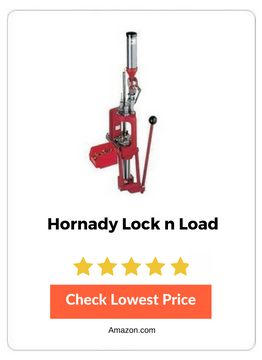 For those that want the best in class you can pay for it, but the lower tier offerings on this list are still great candidates for the “best reloading press” moniker. The kits and presses listed above will each satisfy a different type of reloader, and hopefully we have given you enough information to determine at least on the outset, what type of reloading you want to accomplish. The cost savings, hobby aspect and handload capability of these presses will make you a shooter that has more options and can do more. Inevitably bringing you up a level in your shooting prowess and understanding of how things work together in the shooting industry and as a mechanical function to help you get more done on your list of to-do’s in shooting sports. Shooting can get expensive. Ammunition is an ongoing cost that adds up – through the use of a reloader you can significantly reduce money spent.